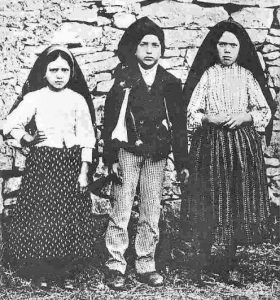 May 13, 2017 is the 100th anniversary of the appearance of Our Lady of Fatima to the three shepherd children. We will be going to Fatima twice this year with pilgrimage groups and will arrive a few days after May 13th (due to crowds we avoided the actual day). Bishop James Conley shares his experience of his own consecration to Mary as a convert to the Catholic Faith. In this short 2-minute video he not only tells his own story but encourages everyone to do the same on this special day – May 13, 2017.